Business Ownership Is "Smooth" When You Own A Piece Of The Planet. Real Estate - Our experienced commercial real estate network can assist you with site selection. 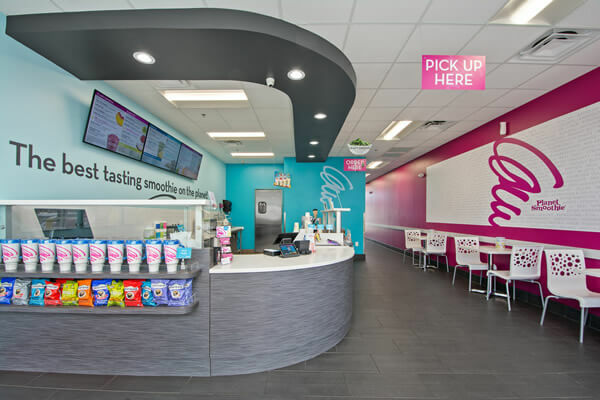 Training - Comprehensive training at Planet Smoothie University and at our flagship location, followed by on-site training in your store prior to opening, and a variety of learning programs. And A Whole Lot Sweeter. "Having been a franchisee for 4 years, I have truly enjoyed my experience. As my first experience at business ownership, the support I've received has been invaluable. I look forward to the years to come and to expanding my business even further!" to have a business that provides my family an income. It is also the best job in the world, fun music, bright colors, smiling faces, it is always sunny in Planet Smoothie!" To Learn More And Begin The Process Of Business Ownership, Please Complete The Request Form Now. Welcome To The “Best” Business On The Planet! 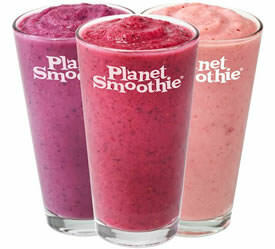 Planet Smoothie is currently accepting inquiries from the following states: Wyoming, West Virginia, Wisconsin, Washington, Vermont, Virginia, Utah, Texas, Tennessee, South Dakota, South Carolina, Rhode Island, Pennsylvania, Oregon, Oklahoma, Ohio, New York, Nevada, New Mexico, New Jersey, New Hampshire, Nebraska, North Dakota, North Carolina, Montana, Mississippi, Missouri, Minnesota, Michigan, Maine, Maryland, Massachusetts, Louisiana, Kentucky, Kansas, Indiana, Illinois, Idaho, Iowa, Hawaii, Georgia, Florida, Delaware, Washington, D.C., Connecticut, Colorado, California, Arizona, Arkansas, Alabama, Alaska. Planet Smoothie is also currently accepting inquiries from Canada.